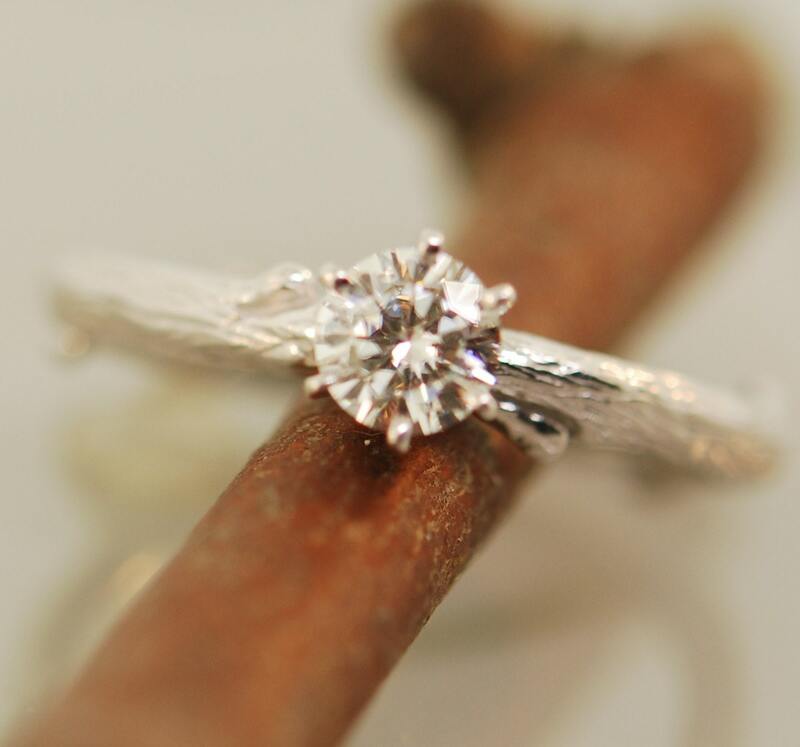 This is my original bud branch design set with the finest quality moissanite stone from the forever one collection. 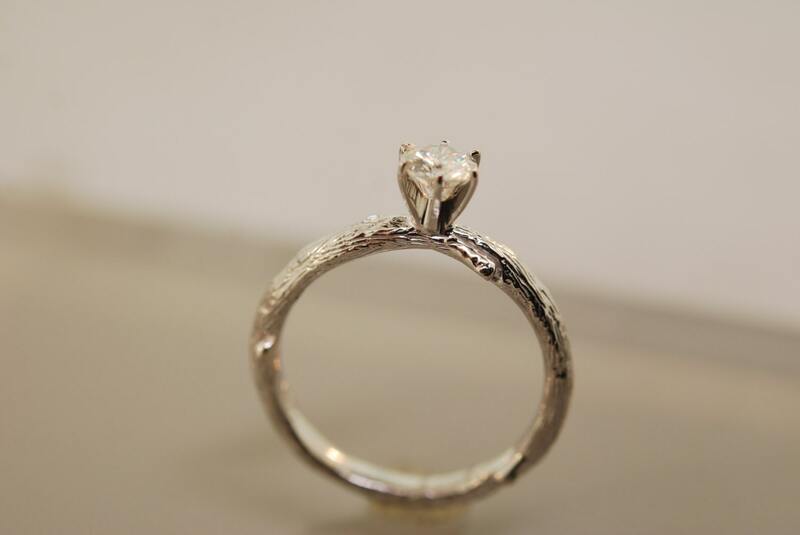 This ring is solid 14 karat white gold so beautiful. The stone is 5 mm in the pictures. 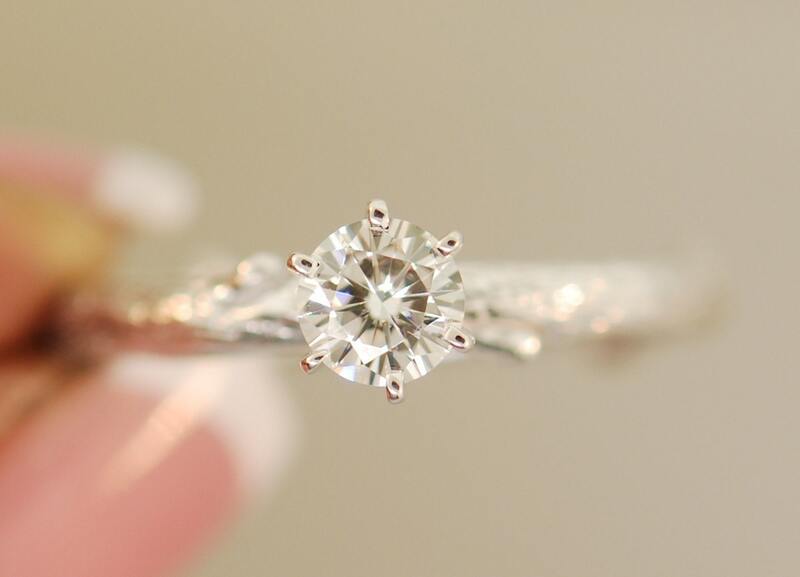 This is such a stunning classic ring to have for a life time. 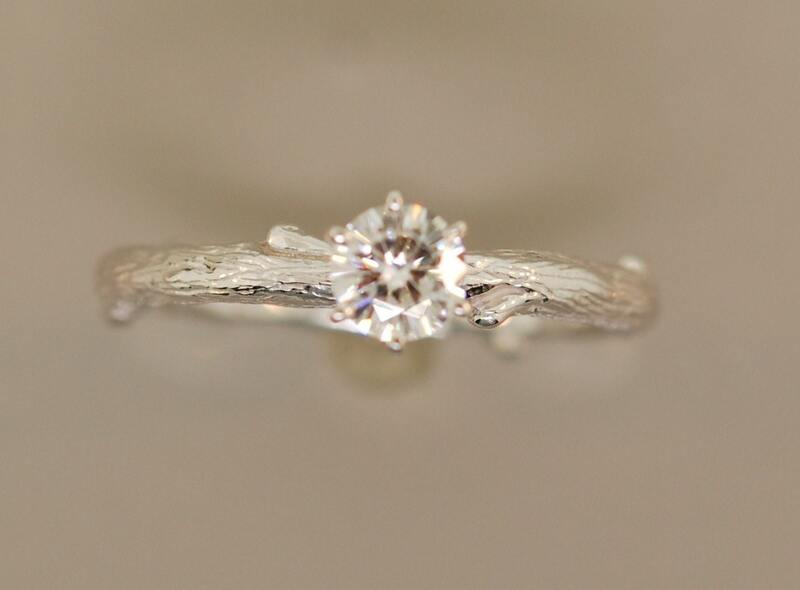 The perfect engagement ring for those who like something a little different. I can also make a coordinating band for this ring. I really like the sparkle and color of these moissanite stones. So much like a diamond but a lot more affordable. If you like I can make with a larger or different shape moissanite stone. 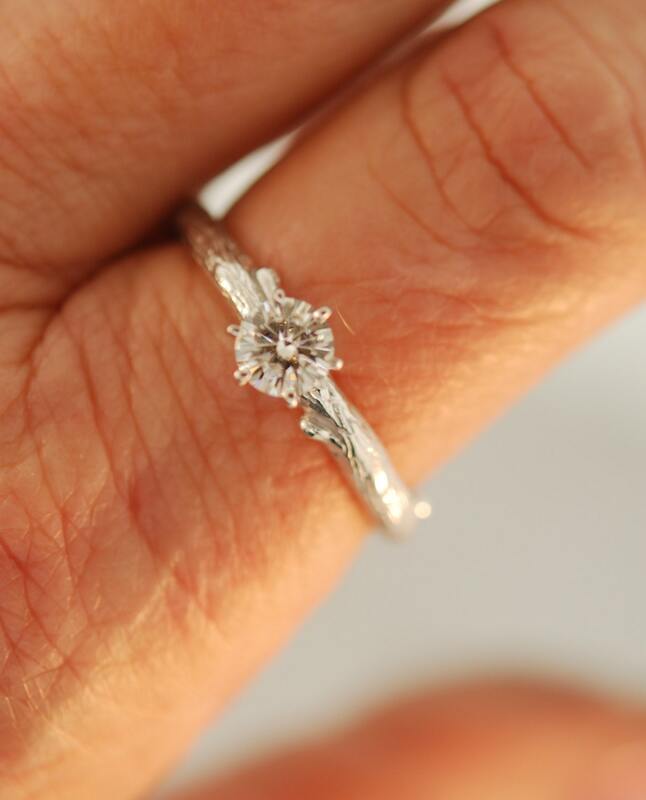 This setting can accommodate a larger stone or a different shape. If you have another type of stone you like to use that is also possible. I can make this ring in rose gold, yellow gold, and sterling silver.